Evolution of Dance, Charlie Bit My Finger, and Sneezing Panda. We have all seen these and hundreds of other viral videos on the internet. These videos don’t magically get millions of views by just posting it to Youtube, there’s a lot of work involved. Many blogs and social networking pages start out by having family and friends like or follow your blog. When they begin to interact and share your blog it will gain some momentum. I sent my blog out to my entire personal email list. -Make sure to post your blog across all of your social media platforms. This is one of the easiest ways to gain viewers/followers of your blog. I set up my WordPress Blog to instantly post to my social networks (Facebook, Twitter & LinkedIn) as soon as I post a blog. -Each time you post a blog, be sure to add tags to it. These tags will help identify what your post is about and what readers can expect. In my blog posts, I tend to tag things like ‘triathlons’ ‘training blog’ ‘ironman’ and other relevant keywords that relate to my blogs. -Search for other blogs/bloggers with similar interests. When you start commenting, following or liking other blog posts, people will start doing the same. 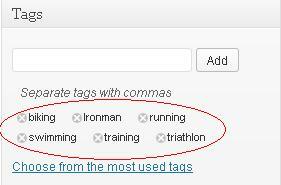 In my example, I searched for ‘Ironman’ and ‘triathlon training’ blogs. I found some very interesting blogs that I commented on and started to follow. It’s been about a week since I did that and I’ve already gotten 5 new followers of my blog. -In addition to the above tip, you can start to add links to your blog posts to others. These links will show up in their blog stats which may cause them to like/follow your blog. 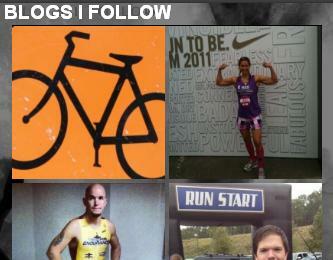 I have included a widget on my blog that allows people to see the blogs that I follow. -There are sites that you can register your blog to (ex: Networked Blogs) for free and others that you can pay for to have your blog on their site. Be consistent: you need to blog enough to keep the interest of your audience, but not too much that they feel like you are spamming them. Content is key: keep the readers engaged by including engaging content and asking for responses/comments. Use polls/surveys. If you have any questions about blogging or want Midwest Digital Marketing to help strategize, plan and write blogs for you, give us a call: 608-441-3638.